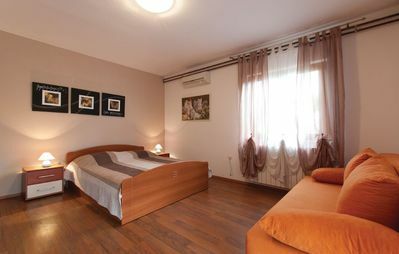 This nicely furnished multi-story apartment is located in a house in the center of Kastel Stafilic. On the first floor is a bedroom, bathroom and kitchen with living room. On the second floor are two bedrooms and a bathroom. 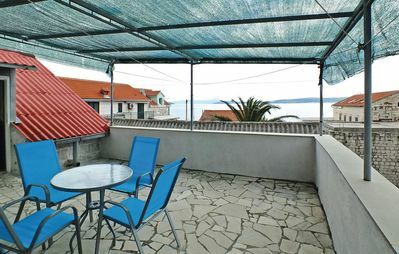 On the top floor is another bedroom (minimum ceiling height is 60 cm) with exit to the spacious terrace with beautiful sea view. Visit in Kastel Stafilic the tower Rotondo built by Stjepan Stafileo, a citizen of Trogir, in the year 1508th. 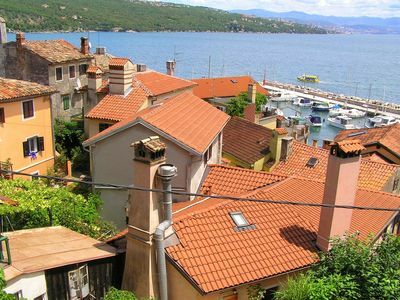 We also recommend that you visit the nearby town of Trogir. At NOVASOL we offer over 40,000 hand-picked holiday homes, across 29 European countries. Our huge selection of self-catering accommodation includes beautiful holiday homes near the sea, cottages in stunning country surroundings, villas with private pools and apartments in some of Europe's most interesting and beautiful cities. We aim to simply provide: Quality self-catering holiday properties all handpicked and inspected by our employees, with complete reliability meaning you can trust that we will provide you with the best accommodation for you holiday.